This is one the best pubs in Islington. 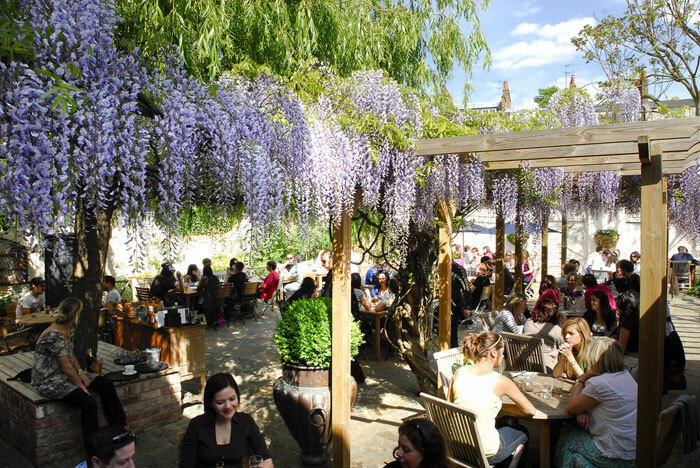 You will find it in all beer garden rankings in London (and not only in its area), which makes it one of the best in the capital. It has a Georgian style, with wooden pergolas and wisteria. It really feels like a country pub. This is mostly because of the lack of noise and surroundings. It is just 3 minutes away from Upper Street and its fancy and popular spots. They have a decent selection of beer and good food, and they offer barbecues in the summer months. If you are planning to go and have Sunday roast, make sure you book a table in advance. It is not easy to get a place and they may not let you go to the garden without reservation. Normally there is someone in the way to prevent visitors without booking. 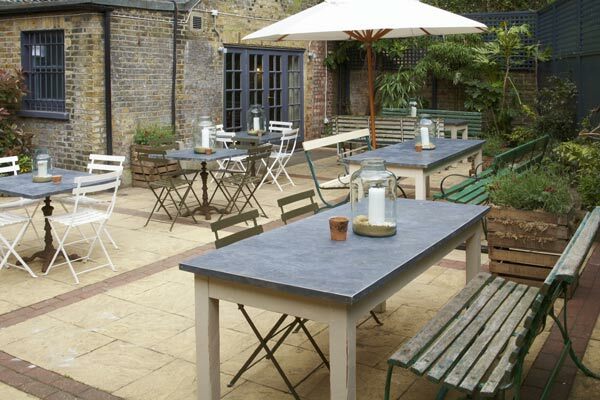 However; there are also a few tables in the front (outside) where can sit freely. These tables are especially good for after office hours because you can get a drink in the sun until sunset. The biggest garden of all the places in this post (it can hold 300). 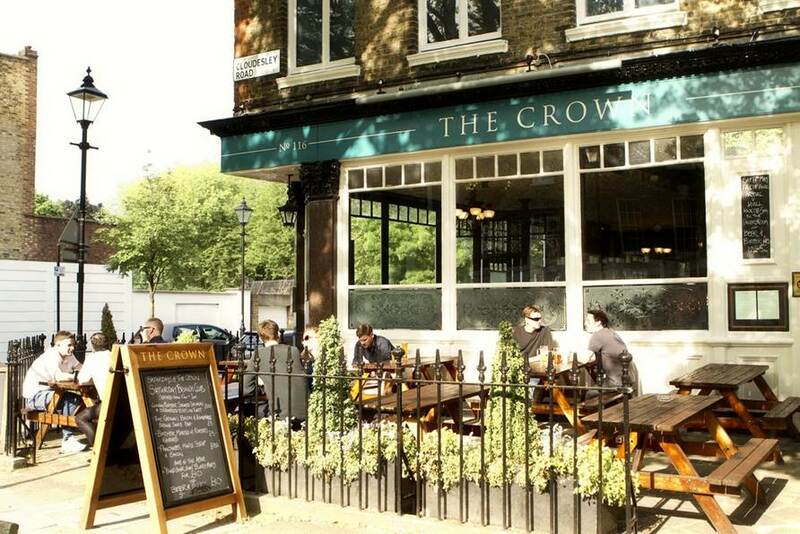 Next to Highbury and Islington station, you can either have gastro-pub food in the dining room or join the masses for a drink and a summer barbecue outside. There is plenty of space and the vibe is very informal. You can just pop-up for a drink with no reservation, or book one of their boxes/tables. This is probably the poshest, and overall the most expensive on the list. But the food is very good, and they give you bread, a dip, and tap water while you decide what to order (which is not that common in London). The garden is small but pretty. The dining room inside is intimate and has a neutral decor. Some critics say it is an “above-snuff local” pub. This is the least popular in the area, maybe because is not that easy to find, but it is a very nice pub. It is one minute away from Liverpool Road. The area is quiet and the vibe of the place is relaxed. They have Fuller’s whole range of beers and all their portions are generous (good to get some starters to share). Good to go on Fridays when DJ plays, or during the weekend, especially for Saturday brunch and Sunday roast. This is the one with the best selection of craft beers and cask ales in the list (20 draft beers and 33 types of bottled beer). They change it frequently and they always have a good variety. You can check their current list here. Very friendly, young and informal vibe. Pleasant music and a very classy decor. This is actually a beer roof. It is on Pentonville Road, very close to Angel station. 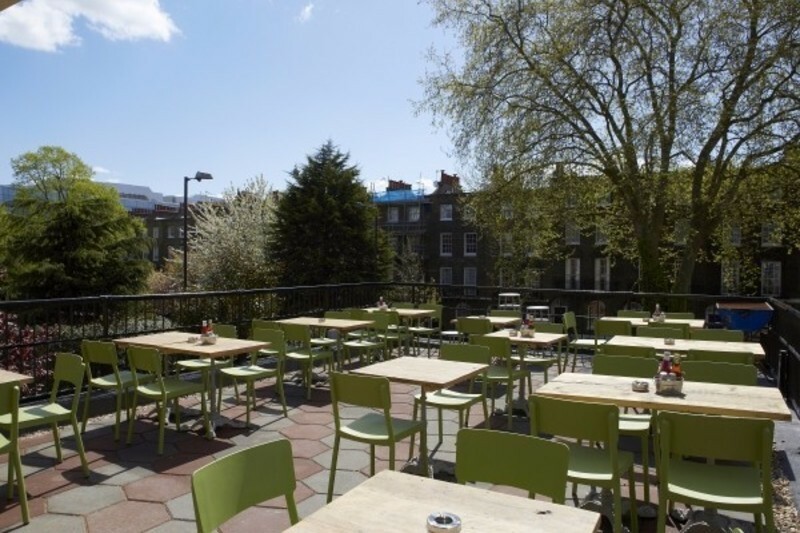 Its terrace is fantastic and they also offer barbecues in the summer months. It is quite cheap and has a few good starters and boards to share (their mains are not as good). The downside is that it is not as “local” as the others, and being on Pentonville Road makes it a bit noise and less residential.